I want to draw chain of beads of two colors arranged in alternating fashion. The overall shape is kind of open regular polygon but preferably with some smooth curve on the side. Each side of the polygon has the same number of beads, of which k number of red beads are followed by n number of blue beads. The bead at the vertices are of the same color. There is some discontinuity on the side to suggest openness. 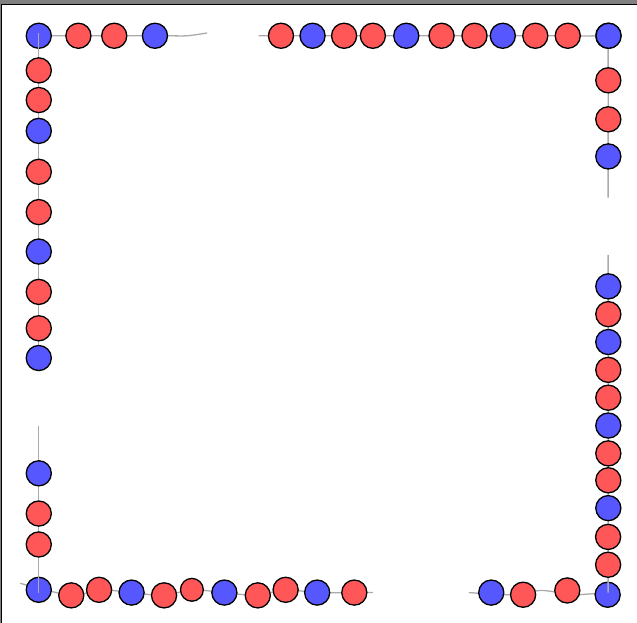 The code below is the simple case I can draw for square arrangement, in which every two red beads are followed by a blue one.